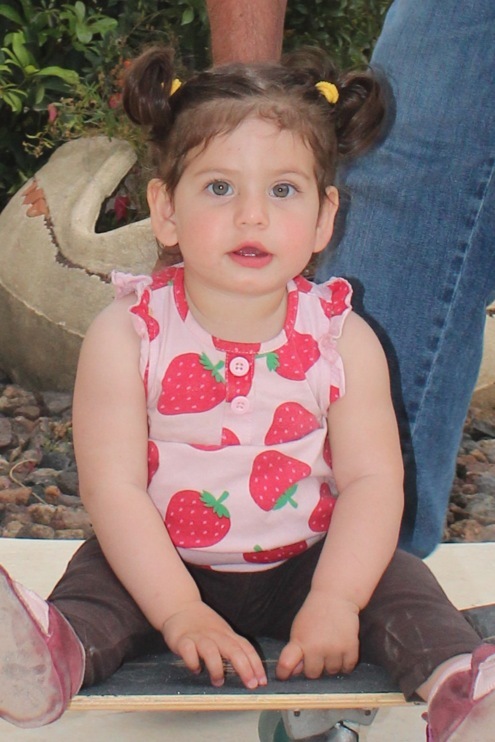 Gaya was born on 6/2/2012 in "Bnei zion" hospital in Haifa, Israel. Immediately after birth Gaya's sugar level was checked and it was 34, the nurses gave her some milk. After breastfeeding her at night they checked her sugar level and it was low again - 32, so they wanted a doctor to see her in the morning. 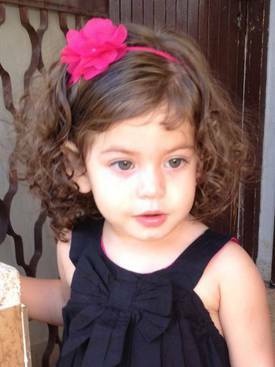 In the morning she was taken to intensive care and started getting infusions of glucose. After 4 days there was no change, every time they took off the infusion the blood sugar level dropped, we understood that there is something wrong with her so many more tests were taken but they all came back negative. 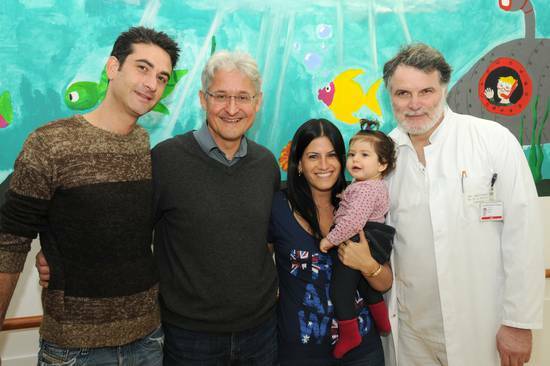 Dr Riskin who is the head of intensive care started consulting Dr. Koren, an endocrinologist from "Carmel" hospital. She told us that Gaya had Hyperinsullinism and that we would have to continue checking her blood sugar all the time at home and that she would need medicine and that we should learn what she responds to. This was the worst day of our life- we couldn’t believe that we wouldn't be able to find a cure that would end her problem. The next day Gaya stated receiving Diazoxide for a few days but she didn’t respond to it so well so she started getting Octreotide through a pump. The reaction to Octreotide was very quick and her blood sugar levels got normal and stable. During the time she was in hospital we never left her side. After 5 weeks in hospital we were finally released to go home with a pump treatment and with orders to check her blood sugar levels every 3 hours. As much as we were happy to go home and to take Gaya to the beautiful room we had prepared for her we were very scared, we came home with a sick child and we didn't have doctors and nurses anymore to rely on. Luckily, we have a very supportive family and they helped us during this hard time, and Dr Koren was in touch with us all the time to answer every question we had. We tried to lead a normal life as much as possible and Gaya even started kindergarden at the age of 7 months. When she was 8.5 months old Gaya had blood tests taken and they showed that her liver functions were very high, we repeated these tests again after a week and it showed the same results. Dr Koren sent us immediately to Hadasa hospital because she suspected that this could be a rare effect of the Octreotide. Gaya was hospitalized at Hadasa for three excruciating weeks, Gaya stopped receiving Octreotide and started getting Glucogon through a pump, but the Glucogon was not suitable for a pump, it blocked the pump each time and we had to change it 7-8 times a day, it was a nightmare and it was obvious that that was not a permanent solution. In addition Gaya got some viral disease there and stopped eating so she was fed through a feeding tube for a few days. Dr Gilis who treated her there started to think about an operation as a solution, we had already known that Gaya had a focal lesion because she had had a Pet c.t when she was 3 months old. Dr Gilis told us about Prof Barthlen from Germany and it sounded to us like a dream come true – getting rid of the illness. Dr Gilis got in touch with Prof Barthlen who immediately scheduled Gaya a Pet c.t in Berlin 2 weeks later and an operation a week later in Greifswald. We arrived in Berlin on November 19th to Sana Hospital. On the next day Gaya had the Pet c.t which again showed that she had a focal lesion at the tail of the pancreas. On November 21st We were most warmly welcomed in Greifswald by Prof Barthlen and his medical team who immediately gave us the feeling that we arrived to a safe haven .Prof Barthlen spent a lot of time explaining to us in length about the procedure of the operation including the risks and the possible results. He was more than patient to answer any of our questions. 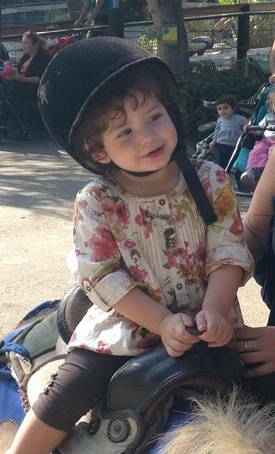 On the 23rd Gaya went through a 4 hours laparoscopy operation and then she was taken to intensive care for 4 days. The whole team was amazing and attentive and helped us through these difficult days, although Gaya started recovering sooner than we expected. Four days later Gaya's glucose infusion which was started before the operation was stopped and that was the moment of truth to check whether the operation had succeeded (although it might take 2 weeks before all the systems regulate themselves). After not feeding Gaya the whole night for the first time we were anxious to see the result of the blood sugar level in the morning, and to our happiness- it was 104!!! wow! I can't express the amazing feeling of relief! The next days we continued to check the blood sugar levels, most of the times they were ok and we were told that with time it would even get better. We spent the time touring around the beautiful Baltic sea area and enjoying beautiful Greifswald with Gaya. Three weeks later we left the hospital happy and gracious parents. 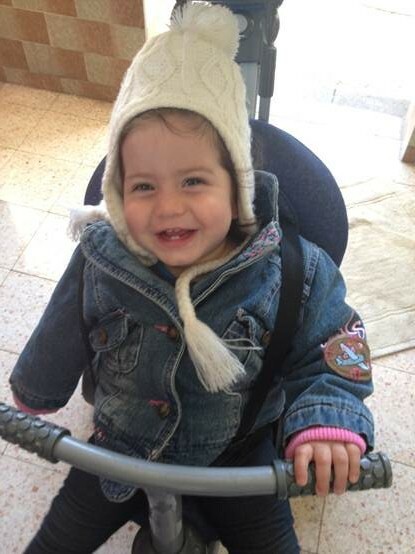 Gaya is now 1 year and 2 months old, she is a happy, beautiful, smart and amazing child, She does not need any medication and she leads a normal life. 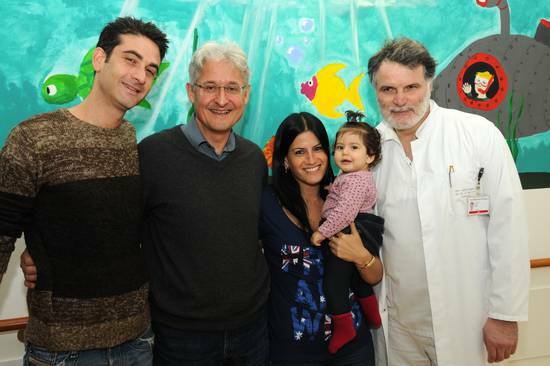 We were lucky to be surrounded by angels who responded immediately to our needs and received us so warmly and kindly- we would like to thank Dr Riskin and the intensive care team of Bnei Zion hospital, Dr Koren who has accompanied us through all these difficult months consulting and being there for us 24 hours a day ,Dr Gilis and the pediatric team in Hadasa who took care of Gaya during her difficult days and enabled us to make Gaya’s operation possible. you have changed Gaya's life and our lives in a way that words can not express, for us you are more than a doctor and a surgeon- you are our hero. We would also like to take the opportunity and thank our family and friends for their support and prayers throughout all that time, without which we couldn’t have made it. Special thanks to my parents, who literally never left our side and supported with endless love by being there with and for us. Yesterday it has been a year since Gaya´s surgery and we wonce again thought how god has sent an angel of a doctor like you. We wanted again to thank you from the bottom of our heart and tell you how happy you have made us and the whole family. And how you have changed our lives for the best. We are sure that when Gaya grows up and we tell her how you have changed her life she would join our thanks and gratitude. We attach Gaya´s photos to show you what a happy, healthy wonderful girl she is, thanks to you and we promise to keep in touch.